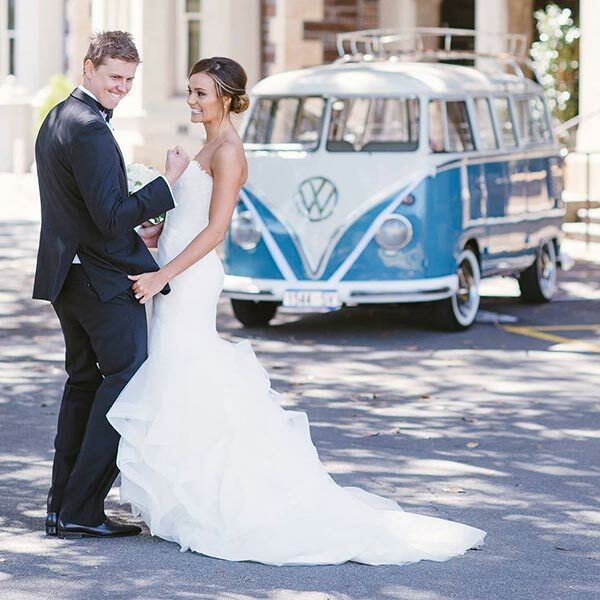 Adelaide’s only deluxe chauffeured VW Kombi Van hire company, perfect for your wedding car hire needs! 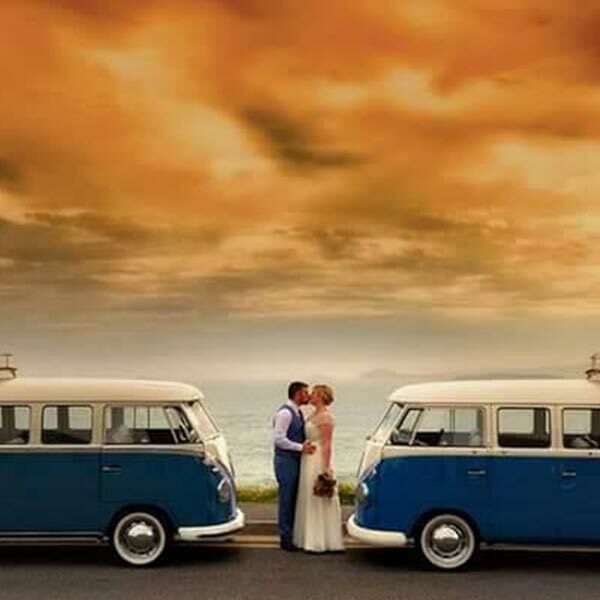 Our immaculately restored Volkswagen Kombi’s are a unique way to reach your destination and perfect for any occasion. 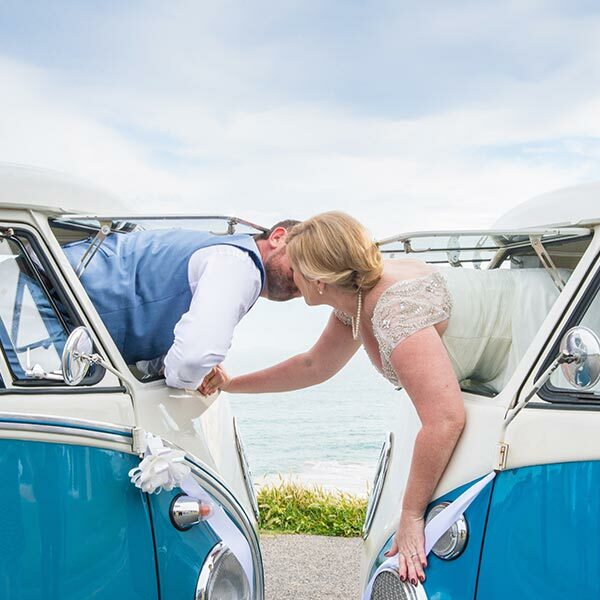 Relive the 1960s in true nostalgic style and discover how much fun a VW Kombi Van hire brings! We have lovingly restored two stunning, blue and white 1960’s Volkswagen Kombi Van’s to choose from, ‘Django’ and ‘Cassidy’. Both vans feature grey kombi interiors and seat up to 7 passengers making them ideal transport for formal car hire, birthday car hire, winery tour car hire and more! Meet our VW Kombi Van’s ‘Django’ and ‘Cassidy here! We specialise in offering our guests the the complete kombi van hire service with licensed chauffeur, red carpet entry and of course, iPod connectivity! Learn more about our Volkswagen Kombi’s for rent here. 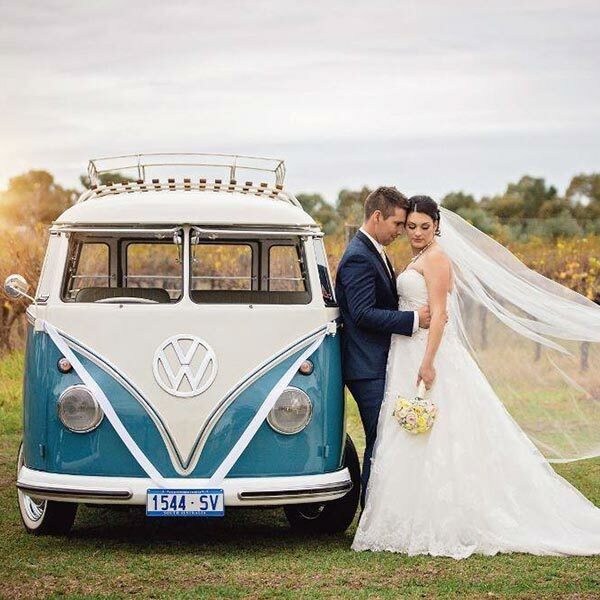 We are Kombi lovers through and through and can’t wait to be a part of your special day! Its more fun to take the Bus! Enjoy the journey, arrive in style and make your next event one to remember.